Merry Christmas- oh no it wasn’t , OH YES IT WAS! 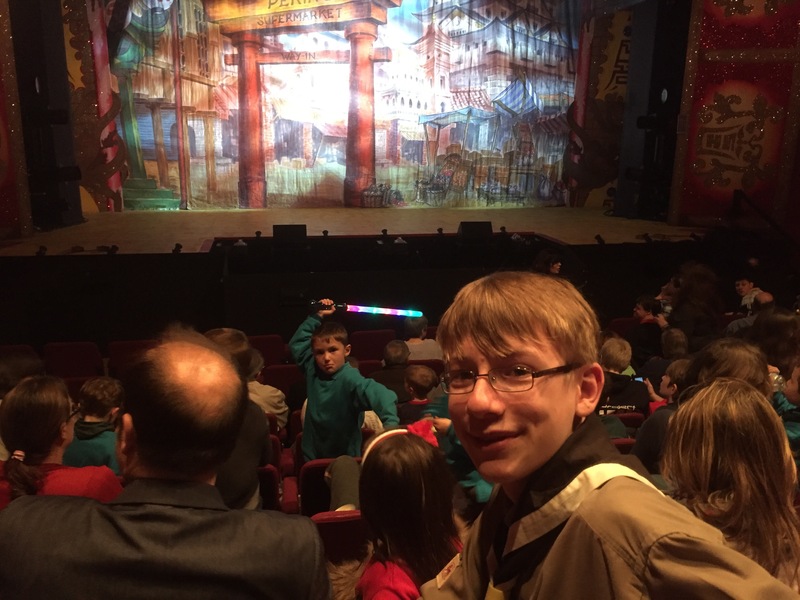 1st Bagshot Scouts had a great time at the Pantmime of Alladin held at Camberley Theatre. 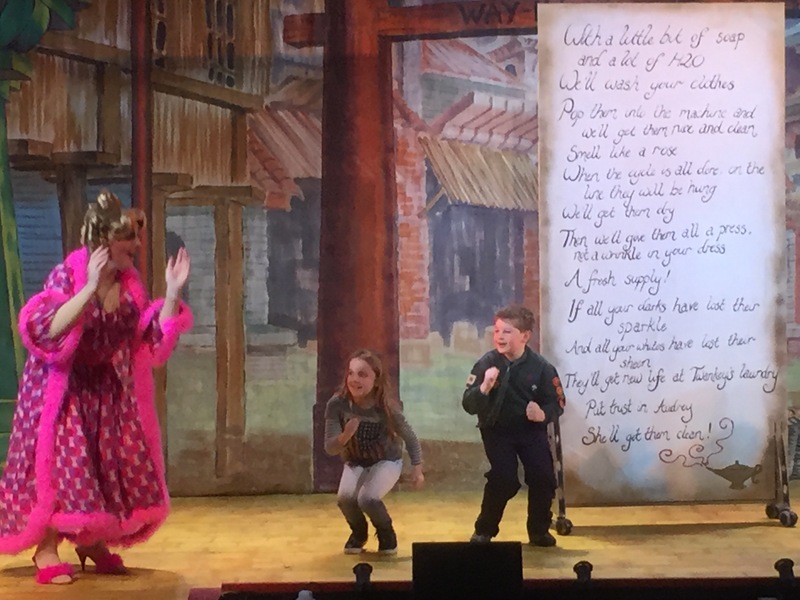 It was extra special as one of the ex Cub, Izzie Cox was one of the cast performing on stage. Beavers, Cubs, Scouts and Exploreres were joined by their families for an hilarious performance. 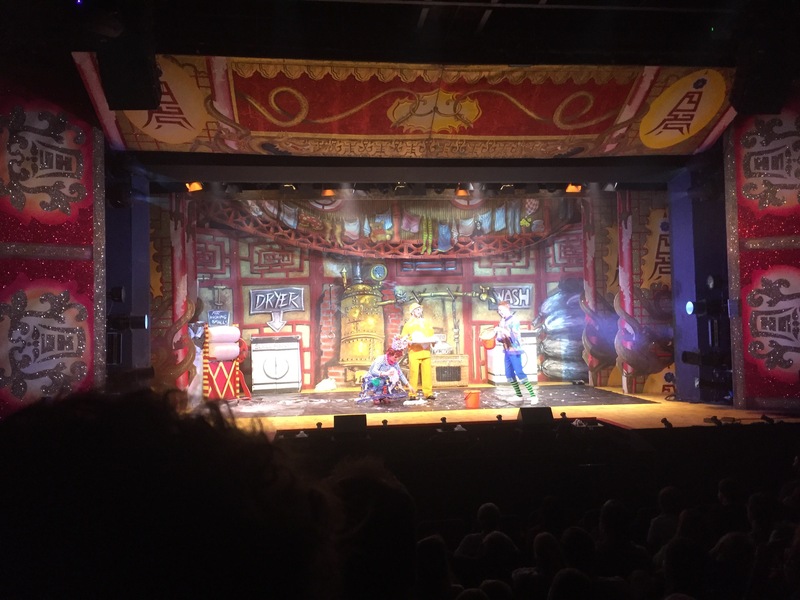 To add to the fun, Widow Twanky took a fancy to Owen, one of the dad’s, who joined the cast on stage and was dressed up in a yellow souwester. Cub Sam Cox, joined Window Twanky and Wishy Washy on stage for a sing song. A big ‘Thank you’ to Kate Cox for arranging it. It was a great way to start the season of good cheer!